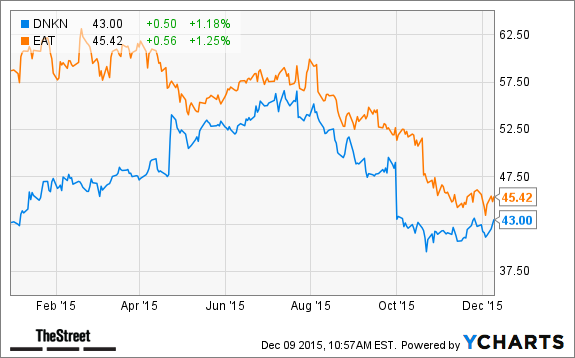 Chipotle Stock: Doomed to Collapse or Poised for a Comeback? Some analysts argue that beleaguered restaurant chain Chipotle will recover from its horrifically bad press, while others say the stock is toxic and has farther to fall. Who's right? Right now Chipotle Mexican Grill (CMG - Get Report) is either a rare buying opportunity or a value trap. Which is it? Some analysts argue that the "fast casual" chain's highly publicized public health problems are ephemeral and it will eventually bounce back to its winning ways, making the stock an incredible bargain right now. Others contend that in the wake of yet more food-borne illness outbreaks last week, the company faces an existential crisis and the stock's descent has considerably farther to go. So, is Chipotle among a group of highly dangerous stocks doomed to collapse, or is there a good chance it can engineer a turnaround? For a clue, let's turn to the words of Starbucks Chairman and CEO Howard Schultz, who once said: "Authentic brands don't emerge from marketing cubicles or advertising agencies. They emanate from everything the company does." And therein lies Chipotle's intractable dilemma. Prior to the illness incidents, the company had been marketing itself as a fast-casual restaurant chain with a qualitative difference. As opposed to conventional fast food eateries, Chipotle adopted a hipper-than-thou stance, touting its "responsibly raised" meat and simple, unprocessed ingredients with no genetically modified organisms. The company even advertised how its fast-food competitors (those coarse vulgarians!) used artificial ingredients and processed foods. Then many people got very sick from eating Chipotle's supposedly fresher food. As Homer Simpson might say: "D'oh!" This unfortunate situation is reminiscent of another company that once touted itself as "green" and environmentally responsible: Volkswagen, which severely damaged its brand by cheating on emissions tests. Fact is, Chipotle and Volkswagen belong to a group of toxic investments you should avoid in 2016. First came the reported outbreak on November 7, when about 22 people fell ill from E. coli linked to Chipotle. The affected diners were stricken with bloody diarrhea and vomiting. The company voluntarily shuttered 43 of its outlets in two states. Last Friday, the outbreak linked to Chipotle had expanded to nine states. And then yet another shoe dropped on Monday, when Boston College reported that dozens of students, including members of the men's basketball team, fell seriously ill after eating at Chipotle. Federal, state and local health officials are investigating the illnesses. Meanwhile, Chipotle's management has warned that the company's same-store sales could decline between 8% and 11% in the fourth quarter because of the outbreak, the first decline in the company's otherwise sunny history. But don't expect the fourth quarter to be the end of the story. Public memories of health scandals tend to persist; the damage is likely to extend well into 2016. From Nov. 8 to Dec. 8, Chipotle's stock has plunged 14.8%. And yet, the stock's trailing 12-month price-to-earnings (P/E) ratio still stands at a pricey 32.25, compared to 25.21 for its industry, which underscores the unsustainable hoopla that had been buoying the stock before the illness outbreaks. Before Nov. 7, Chipotle was already an overvalued, over-hyped Wall Street darling that was ripe for a fall. And now the stock is facing its time of reckoning -- a painful period that won't end in the foreseeable future. So, ignore the Pollyannish school of thought that's trying to tempt you into seeing under-appreciated "value" in this stock. Meanwhile, other fast casual chains, such as Dunkin' Brands Group (DNKN - Get Report) and Brinker International (EAT - Get Report) can be counted on to make the most of Chipotle's struggles and steal market share. In the fiercely competitive fast casual business, it's dog eat dog. 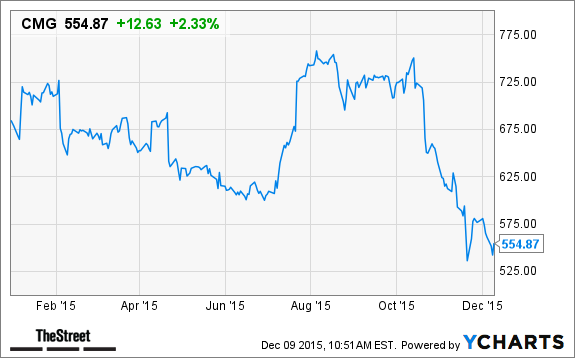 Chipotle is only one of several dangerous stocks that will plunge in 2016. And be forewarned, many of these stocks are popular and commonly found in retirement portfolios. To make sure that YOU don't own any of these ticking time bombs, click here for our free report.